Members and friends of the OBS are grateful for the dhamma reflections and meditation guidance given freely by our spiritual mentors. Their dedication in following the instructions and example of the Buddha and the Theravada vinaya, has enabled the teaching to survive in the world in their original form for over 2500 years. One of the main objectives of the OBS is to provide opportunities and support to the sangha and the lay community who carry forward the practice through their actions. Bhante Gunaratana is a bhikkhu (mendicant monk) of the Theravada (School of Elders) tradition of Buddhism. He was born in Sri Lanka, ordained in 1940, and received a classical Buddhist education. He spent five years working with the Harijans (Children of God – Gandhi’s term for the “Untouchables”) in India on behalf of the Maha Bodhi Society. He then worked ten years as a missionary, teacher, and administrator in Malaysia. 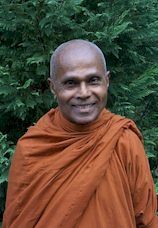 Bhante Gunaratana was invited to the United States in 1968 to teach Buddhism and lead meditation retreats. He earned a Ph.D. in Philosophy from the American University and has lectured at many universities in North America, Europe, Australia, and Southeast Asia. He is the author of several books including the popular Mindfulness in Plain English (1994) and Eight Mindful Steps to Happiness: Walking the Buddha’s Path (2001). 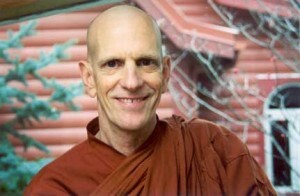 Bhante Rahula was born in 1948 in Southern California. He grew up in the hippie revolution and entered the US Army for three years in 1967, spending ten months in Vietnam. Adopting the lifestyle of a wandering hippie, he began a long odyssey starting in Scandinavia which took him half way around the world to India and Nepal. He encountered his first spiritual teachers, Tibetan Lamas, in Nepal at a month-long meditation course. He was more or less converted to being a Buddhist or at least an earnest seeker after Truth by the end of the course. His search brought him south to Sri Lanka where he ordained as a Buddhist monk in 1975 and subsequently received full ordination in Los Angeles in 1979. He remained in Sri Lanka off and on until 1986 whereafter he returned to the United States. 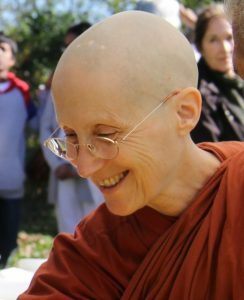 Born in 1954, Ajahn Sona’s background as a layperson is in classical guitar performance (U. of Toronto). He left behind the worldly life and embarked on a five year spiritual journey as a lay hermit. He ordained as a Theravada monk at Bhavana Society monastery in West Virginia and further trained for three years at monasteries such as Wat Pah Nanachat and Wat Keuhn in Northeast Thailand. 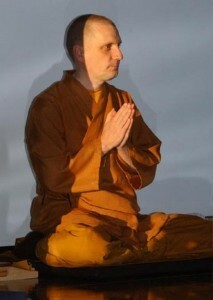 Ajahn Sona is a pioneer in introducing the Theravadin forest monastic tradition to Canada. 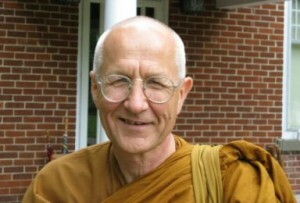 He established the Birken Forest Monastery north of Vancouver upon his return to British Columbia in 1994. He is well experienced in leading meditation retreats and his teachings on Buddhist practice combine tried-and-true Buddhist wisdom with modern common sense. 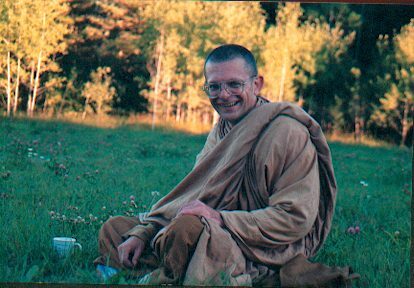 Ajahn Sona is the abbot of Birken Forest Monastery at its new and expanded location near Kamloops, BC.